According to its young founder, Zollipops is more than just a candy company. While overseeing her company and manufacturing what she's dubbed the world's first “healthy, sugar-free and functional candy” for big retailers like Whole Foods and Kroger, Morse still goes to middle school, dances and tries to enjoy a full night's sleep. “Dance is one of my many passions but I’d much rather do business," the 8th grader told TODAY. Besides running a multimillion dollar business, Morse says that she’s just like anyone else her age. She just happened to find her passion for dental health, candy and entrepreneurship early in life, and was fortunate enough to have resources that enabled her to succeed with the help of her dental hygienist. Compared to adults in the business world, Alina says she asks more questions. “I’m more tenacious, I’m a little less careful. I kind of just go all in because I don’t have the so called ‘baggage’ that adults have in the business world. I don’t have doubt," the CEO told TODAY. Morse developed the Zollipop ingredient list through a collaboration with a food scientist and her own dentist — so who says every trip to the dentist has to be scary? She personally taste-tested each iteration of the recipe before settling on a unique combination of erythritol, xylitol, citric acid, stevia and beetroot juice, and turmeric for color. 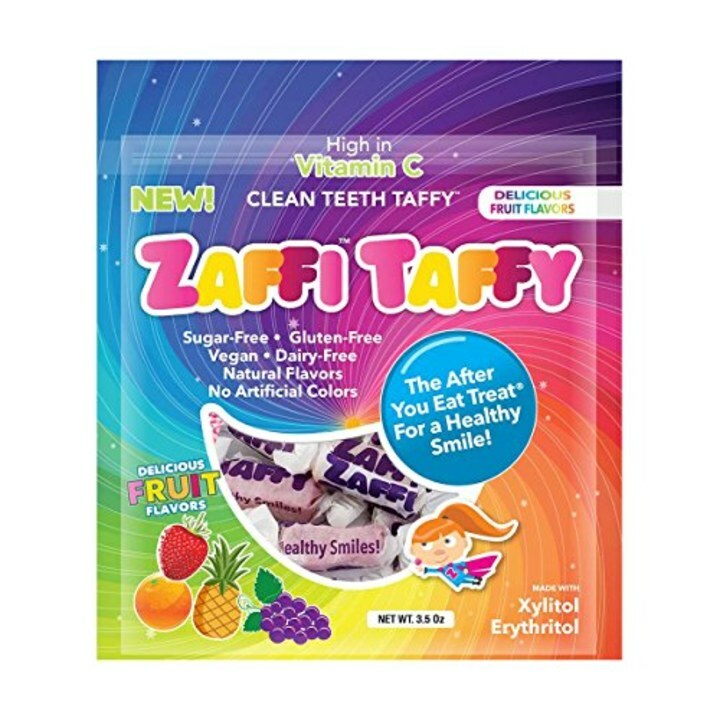 Many studies, including a few found in the International Journal of Dentistry, credit these sugar-free confections with a reduction in plaque and oral bacteria among kids. Once she had the winning formula, Morse used $3,750 (saved from birthday and holiday presents over the years) to start her company — with a matching investment from her dad. Together, the duo traveled to different manufacturing plants throughout Michigan to get the candy made and packaged. In her first year of business, she sold 70,000 Zollipops. The first major retailer to stock the candy was Whole Foods, and ever since, Zollipops' sales have doubled each year for four years. The eighth grader also realizes her potential to make a change in the business world, and not just the candy world. 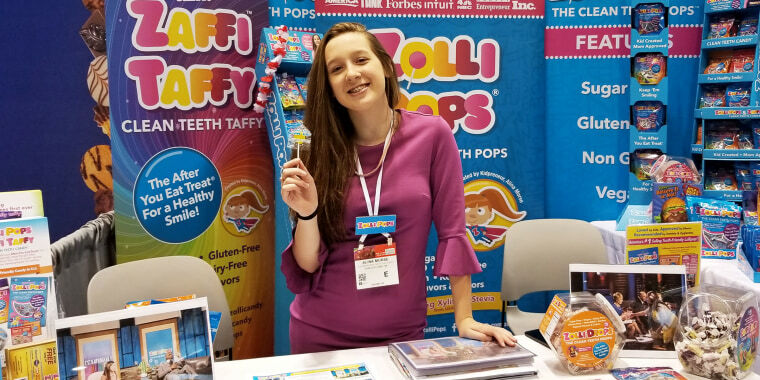 Zollipops donates 10 percent of its profits to One Million Smiles, an oral health education program focused on fighting the tooth decay epidemic. Morse also calls herself “an advocate for young women in business" and became the youngest person ever to appear on the cover of Entrepreneur magazine in 2018. She even met with former first lady Michelle Obama. Morse is also pretty excited about starting high school soon, but she has her sights set on making Zollipops a household name. 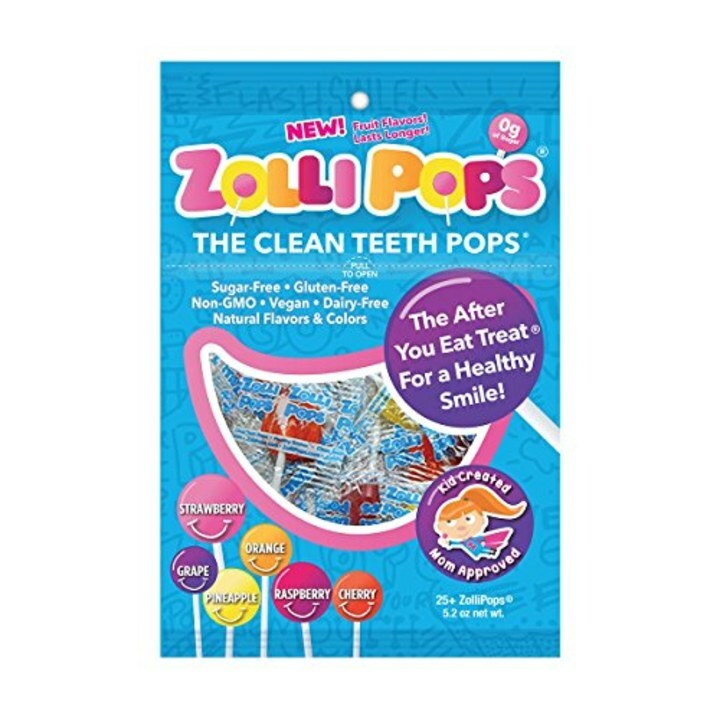 Today, Zollipops line store shelves at Whole Foods, Walmart, Kroger, Target and more. And if you don’t see them in the candy aisle, they might be sitting next to the toothpaste and floss.